Twycross Zoo was founded in 1963 near the village of Twycross in Leicestershire. In 1972 it became a charitable trust (The East Midland Zoological Society). The zoo attracts around 500,000 visitors a year. Twycross is notable for having the largest collection of primate species of any zoo in the world, outside Japan. 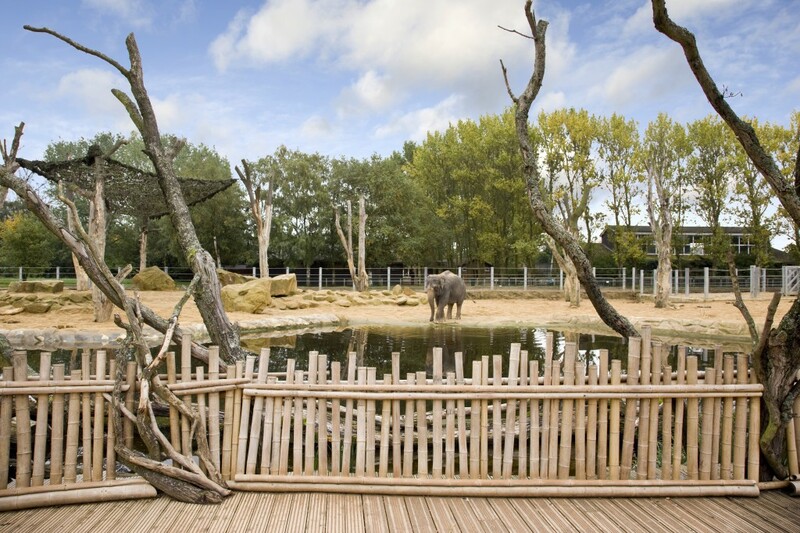 In September 2007, Twycross Zoo announced that it had received a grant of £3 million from the East Midlands Development Agency which helped it to achieve its fundraising target for a new £11 million visitor centre. 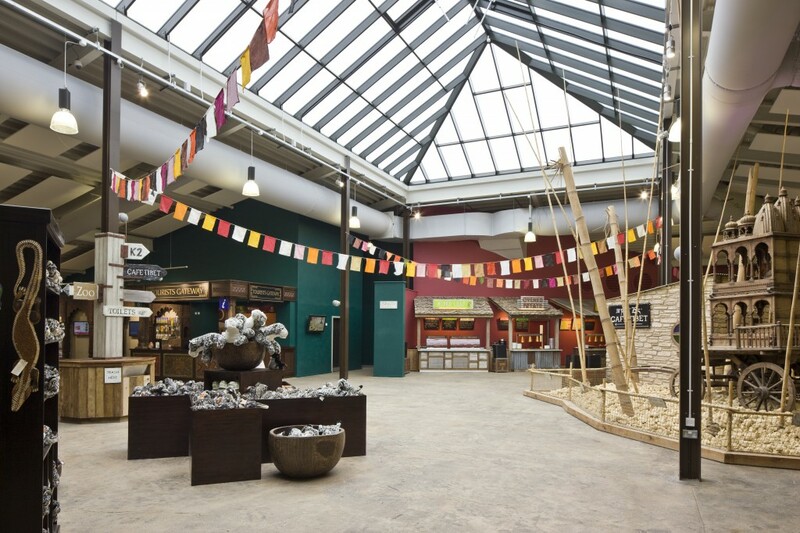 The project transformed the main entrance to the zoo and features an eco-friendly building containing a gift shop, conference room, cafeteria and information about the zoo’s conservation work. The development also features a new enclosure for snow leopards and a large aviary. Construction started towards the end of 2008 and opened to the public in April 2010. The project was completed by PV Audio Video, the Commercial arm of see-AV. 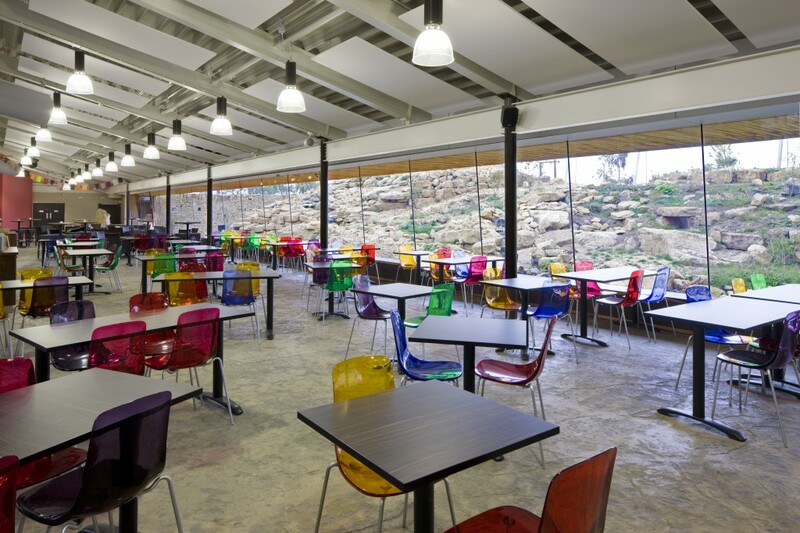 Our client wanted “state of the art” audio visual and lighting controls for visitors to experience a unique and desirable venue to host public and corporate events, as well as creating an environment that reflects the modern approach the zoo has taken with regards to the architectural design of the building. Working with PV Audio Video is a consultative experience; we take a brief only as an outlined goal. The real answer lies in talking, listening and working closely with the client to determine the future aims and uses of the system. PV Audio Video is ideally placed to present all of the appropriate options to a client both technical and non-technical to optimise the final project specification. 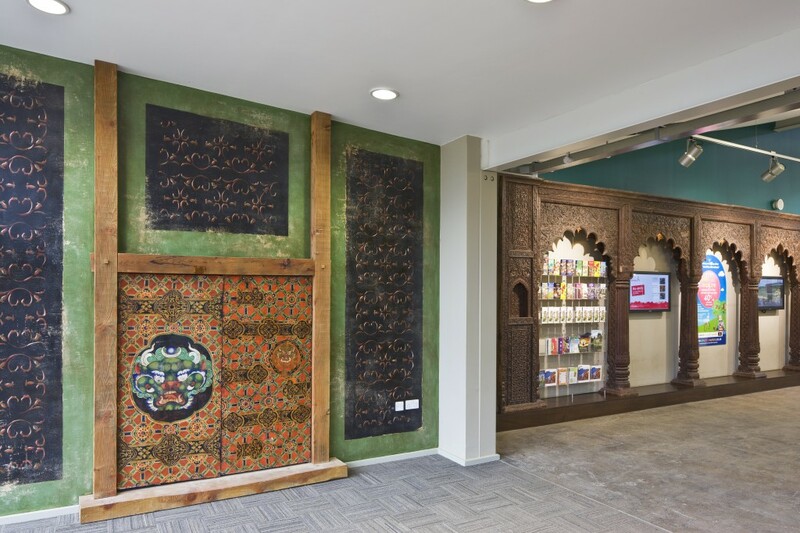 As part of the development of the new £11 million Himalaya Visitor Centre, PV Audio Video were asked to design, supply and install the audio visual and lighting control systems to key areas. 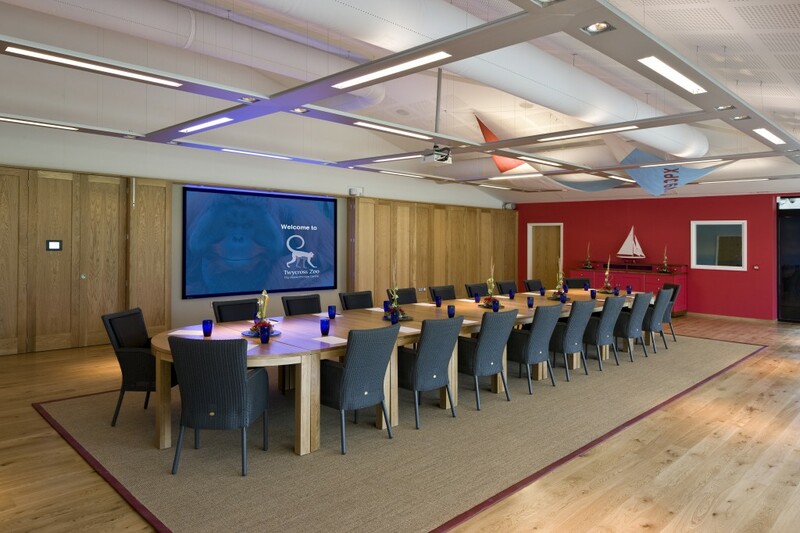 The areas we were initially asked to cover were the visitor centre dining area, information desk digital signage and the purpose built conferencing suite with audio visual facilities and fully automated AV control. 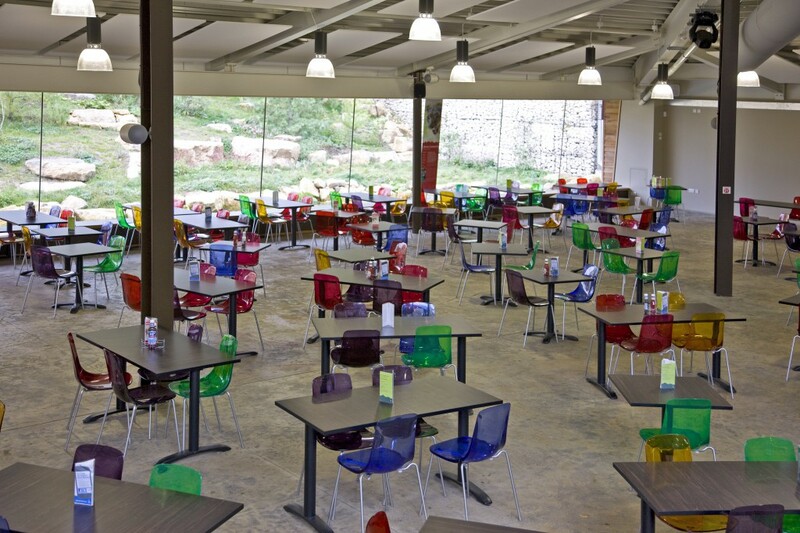 As the project progressed and our working relationship developed our client asked us to design and install further systems to other areas of the Zoo. 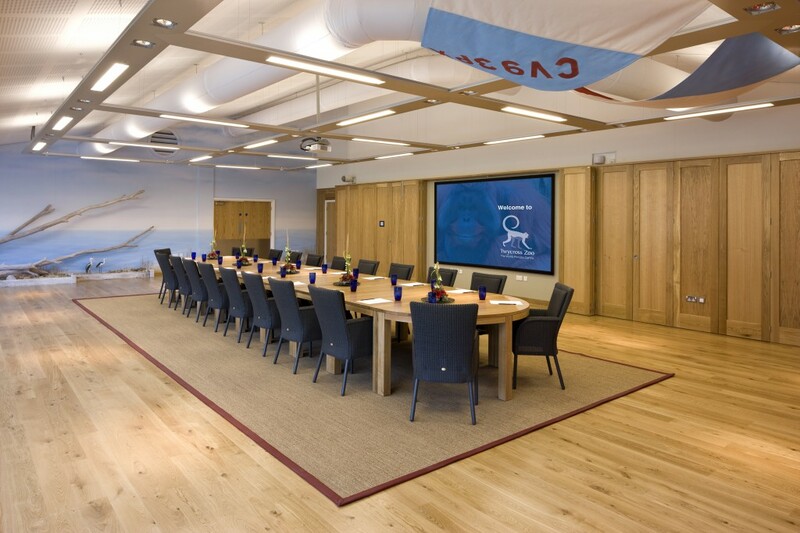 PV Audio Video worked closely with the client to design and provide the optimum system to meet both their current brief and future requirements and deliver high quality audio visual systems within the client’s budget whilst meeting exacting installation and health & safety standards. We designed and presented a number of appropriate systems to demonstrate to the client the various technologies available to them, with particular emphasis on key areas required within the new building. 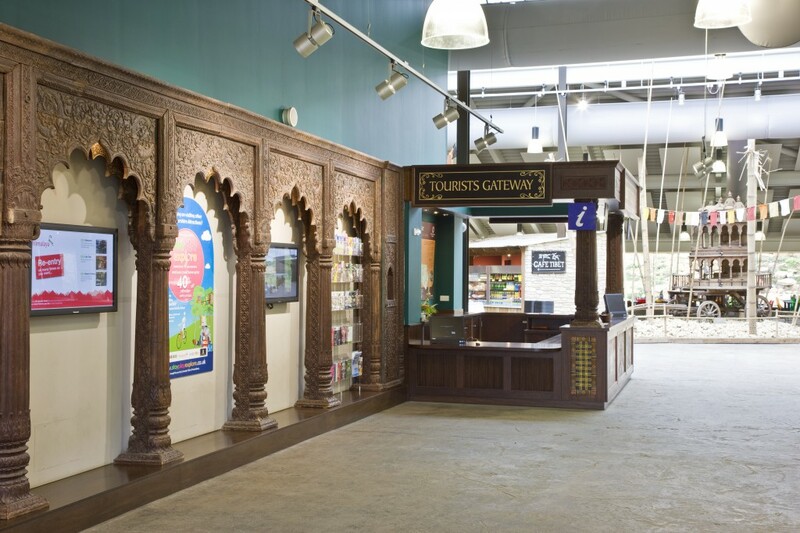 To fulfil our client’s requirements to provide digital signage displays to show electronic information, messaging and animation at various locations of the visitor centre and zoo, Onelan digital signage systems were specified to control the displays. Panasonic and Sanyo IP rated plasma and LCD screens were chosen for their image quality and ruggedness. 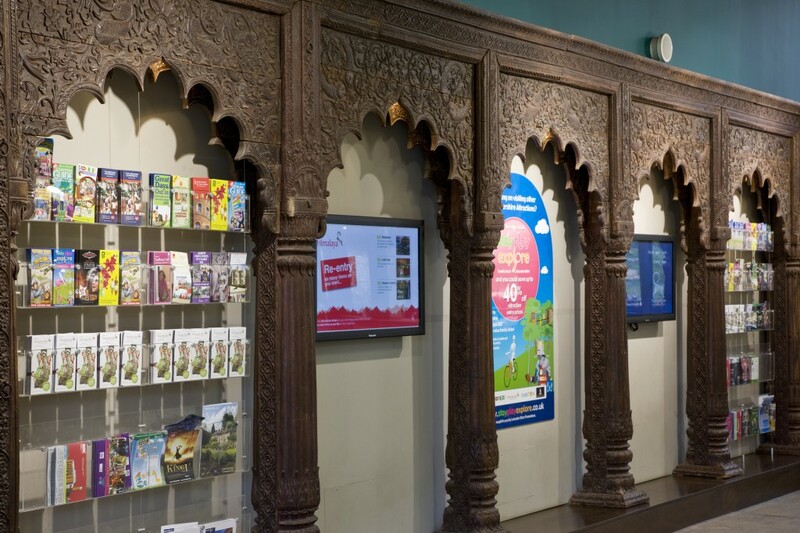 The Onelan digital signage system provides a simple interface for the images to be changed with ease by the members of staff. 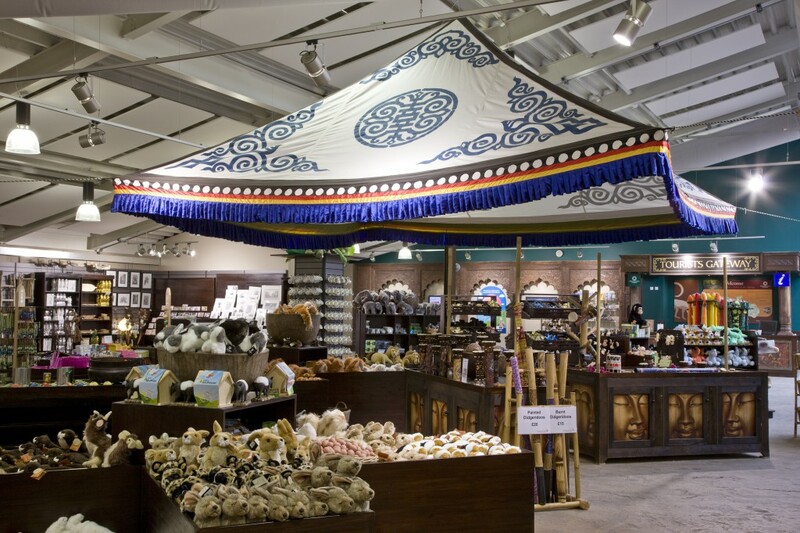 Twycross were so impressed with the system, its capabilities and commercial benefits that it is has now been rolled out across the zoo. 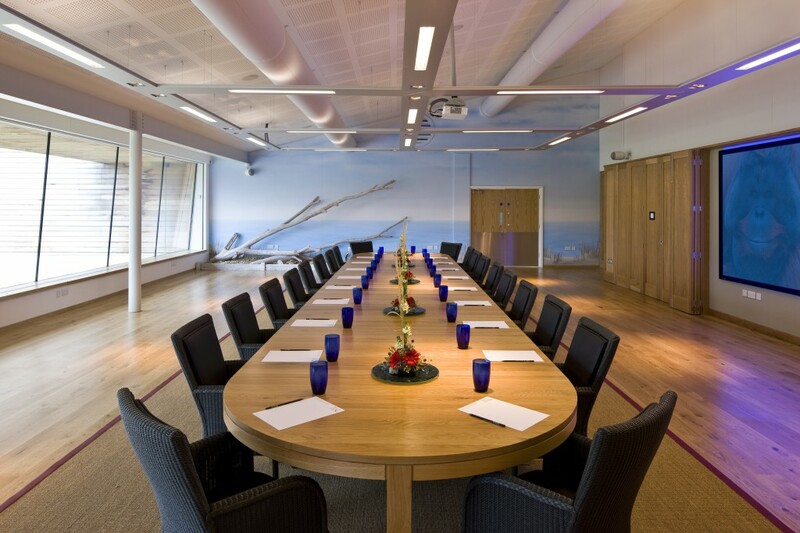 A PA system was installed to the main visitor centre for public announcements, background music corporate events, seminars and public speakers and distributing the sound throughout the building. We provided a distributed speaker system powered by Cloud amplification and Community loudspeakers. Within the main visitor centre, featured displays required subtle lighting for evening and winter opening. Colour Wash LED’s and Gobo Projection moving head effects lights were installed both provided with DMX Control. 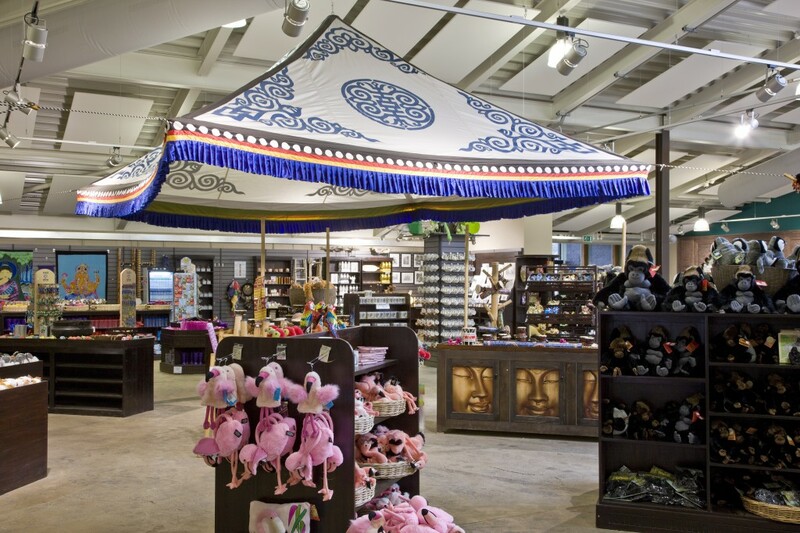 PV Audio Video has played an integral part in the success of Twycross Zoo’s new £11m Visitor Centre. The facilities on offer create a modern and unique environment for their visitors to enjoy. 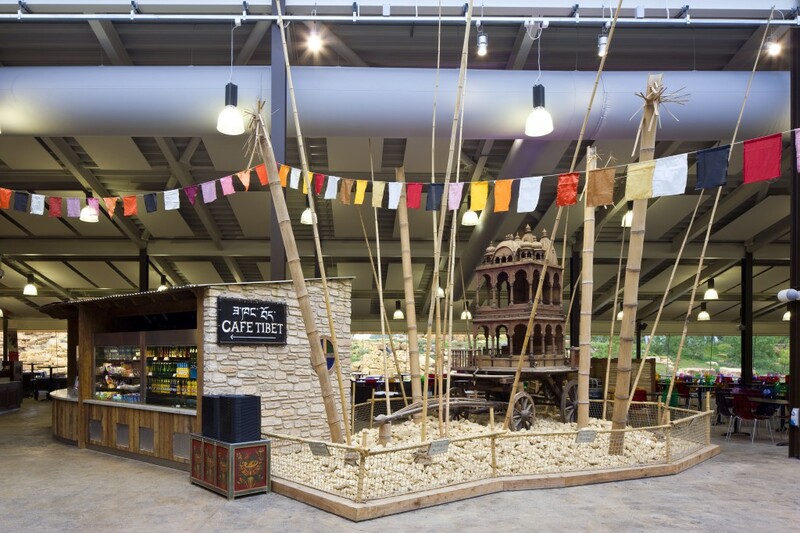 The Visitor Centre provides an innovative and stunning venue for public and corporate events. Our ongoing relationship with Twycross Zoo has gone from strength to strength, PV Audio Video are the preferred supplier for all structured cabling including fibre optics and AV technology to all areas of the zoo, these include the Education Centre where PV Audio Video have provided the latest generation of Smart Whiteboards along with Smart Response voting systems and wireless tablets to allow student interaction. Mipro Portable Outdoor PA system has been supplied so the zoo tour guides can give informative talks to visitors at all areas of the zoo. The newly constructed Elephant Shack Education Centre features both internal and external audio and video to walkways and learning centre. 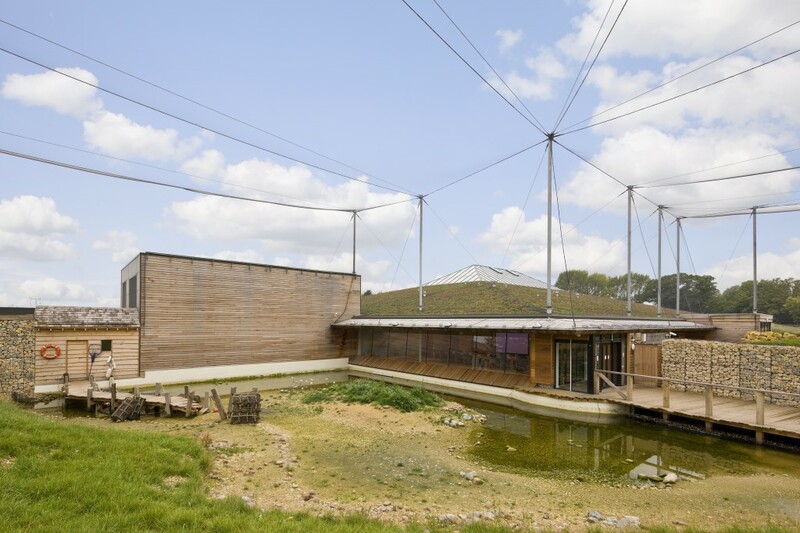 Visit the Twycross Zoo Website for more information on their facilities.